Dr. Michael A. Crouch has been named dean of Samford University's McWhorter School of Pharmacy effective July 1, 2014. Crouch, an accomplished educator, clinician and researcher, currently serves as executive associate dean and professor at East Tennessee State University's Gatton College of Pharmacy, Johnson City. The selection follows a national search to replace Dr. Charlie Sands III who resigned in May 2013 to pursue medical missions opportunities. Sands continues to serve as a member of the pharmacy school faculty. Dr. Michael D. Hogue has served as interim dean since Sands' resignation, and he will return to his role as chair of the Department of Pharmacy Practice. "With experience in a variety of pharmacy education programs and within a College of Health Sciences, Dr. Crouch is uniquely qualified to assume the deanship of McWhorter School of Pharmacy," said Nena F. Sanders, vice provost of Samford's College of Health Sciences. 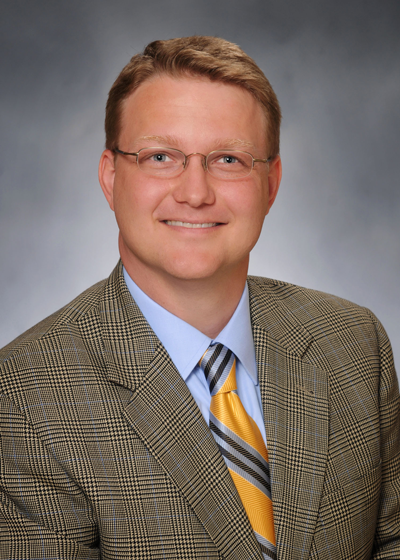 "His knowledge of and experience in developing inter-professional education opportunities combined with his assessment and accreditation experience, makes him well-suited to advance the McWhorter School of Pharmacy's reputation as a leader in pharmacy education." Crouch joined the Gatton College of Pharmacy in 2010 as professor and associate dean for professional education and academic affairs. He accepted his current leadership position in 2012. Prior to his positions at East Tennessee State, he served for 12 years on the faculty at Virginia Commonwealth University in Richmond and later as chair of the Department of Pharmacy Practice at South University, Savannah, Ga.
A recipient of numerous teaching awards, Crouch has dedicated much of his career to educating pharmacy trainees, Sanders said. He is a board-certified pharmacotherapy specialist who also holds added qualifications in cardiology. He is a Fellow of the American Society of Health-System Pharmacists (ASHP) and an active member of ASHP and the American Association of Colleges of Pharmacy. A native of North Carolina, Crouch received his bachelor of science in pharmacy from the University of North Carolina, Chapel Hill. He earned his doctor of pharmacy from Medical University of South Carolina in Charleston and pursued postgraduate training that included a first-year residency at Wake Forest University Baptist Medical Center, Winston-Salem, N.C., and a second-year residency, with emphasis in cardiology, at the Medical University of South Carolina. Crouch has a number of ongoing and completed research initiatives, including investigations involving inter-professional education and other teaching strategies. He has more than 100 scholarly publications, including two books: Cardiovascular Pharmacotherapy: a Point-of-Care Guide and Securingand Excelling in a Pharmacy Residency. "It is an honor to be selected as dean of Samford University's McWhorter School of Pharmacy," said Crouch. "The school has a rich and distinguished history, and I am excited by the inter-professional education opportunities afforded by the College of Health Sciences. I look forward to working with the faculty, staff and students to advance the school's strong reputation as a leader in pharmacy education." For more than 80 years McWhorter School of Pharmacy has been at the forefront of pharmacy education. McWhorter School of Pharmacy remains one of the most influential pharmacy schools in the country, with graduates who are transforming lives in a variety of settings, from acute care, to retail, to executive management with some of the world's leading pharmaceutical companies.